Christmas is lasting a long time this year. I'm currently at my in-laws house in Colorado and we opened presents a couple nights ago. Amongst my gifts was a new stamping plate: Konad m66! 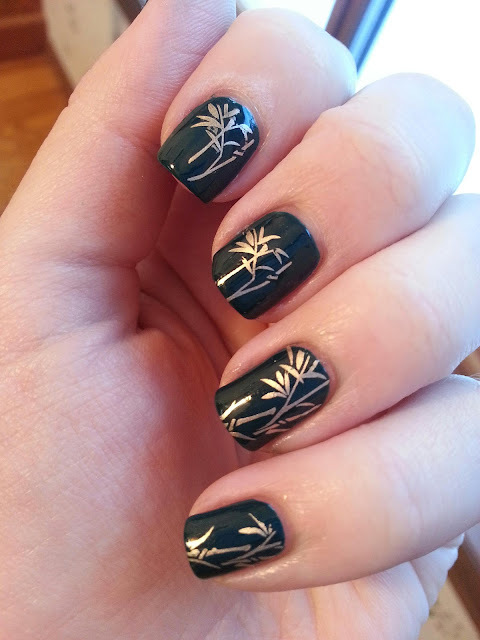 Thankfully I remembered to bring my stamping supplies so I got to try it out today. This is NOPI Khloe Had A Little Lam-Lam stamped with Essie Good As Gold.